Could a Supposed Weakness Be Your Greatest Strength? Some may view dyslexia as a roadblock, but for one of the world’s best-known billionaires, the learning disorder put him on the path to immense success. Growing up in Buckinghamshire, England during the 1960s, Richard Branson consistently ranked among the poorest performing students in class, due in large part to his dyslexia. Realizing his academic career wasn’t amounting to much, Branson dropped out of school at 17 and poured his energy into publishing a magazine about student culture and Britain’s booming music scene. Thanks to Branson’s newfound knack for ad sales, the magazine was an instant success and quickly grew in both scope and circulation. But it wasn’t until the teenage entrepreneur transformed his venture into a mail-order music business named Virgin that things really began to take off. From record stores to record labels and airlines to spacecraft, Virgin is now among the most recognizable brands in the world. Had Branson not struggled with dyslexia, he likely would have continued his formal education and missed the opportunity to become one of the most admired entrepreneurs on the planet. For Branson, dyslexia may have been a hardship, but it’s one he’s thankful to have endured. During childhood, many dyslexics struggle to maintain pace with their peers. These children can, however, develop exceptional skills that lead to success later in life. In David vs Goliath: Underdogs, Misfits, and the Art of Battling Giants, author Malcolm Gladwell argues that although dyslexia makes reading challenging, those who live with the disorder can develop the ability to listen and remember extremely well, giving them an increased aptitude for analysis. Need some proof? Say the total cost of a pencil and paper is $1.10, and the pencil costs a $1 more than the paper. How much does the paper cost? If you think the answer’s 10 cents, think again: It’s actually five cents. Many of us instinctively make this mistake because we read quickly, missing the nuance of what’s written. Dyslexics are better at answering questions like this because they read more slowly, allowing them additional time to process. 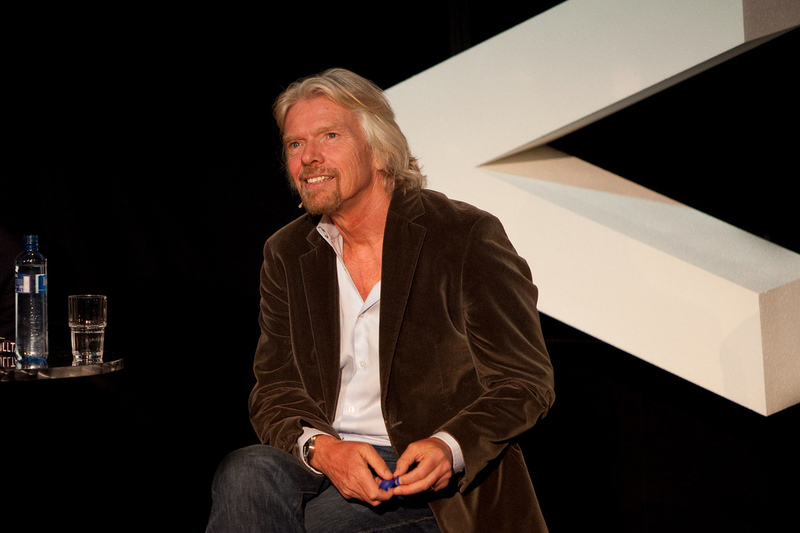 Richard Branson used his social skills and business acumen to attain the heights of success. He didn’t let dyslexia or a lack of experience hamper his journey through life, and neither does anyone else living with a learning disorder. Modern technology has opened up a wealth of new ways to learn without reading, among the best of which is an app called Blinkist. Blinkist is a learning app that transforms bestselling nonfiction books into 15 minute reads users can also listen to. For many dyslexics and people with vision problems, Blinkist’s audio option is an invaluable tool for continuing their education without reading. Download the Blinkist app today, and you can learn about rocket science over breakfast, stock trading over lunch, and Sir Richard Branson’s illustrious career over dinner. Don’t let hardships stand in your way of success. Embrace your challenges and let Blinkist help you keep on learning.